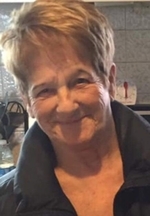 It is with great sadness that the family of the late Beatrice Ann Poole announces her passing at the Central Newfoundland Health Care Center in Grand Falls-Windsor on Sunday, March 31, 2019, age 77 years, of Belleoram. She leaves to mourn her loving family: husband, Victor Rose; daughter, Emily Osbourne (Angus) at Belleoram; sons, Freeman, Pious, Peter (Charlotte), Samuel, Daniel, Michael and Adam (Laura) all at Belleoram; grandchildren and great grandchildren; brothers, Samuel Poole (Emily) at Belleoram, Hughie Poole (Judy) at Nova Scotia, Amos Poole (Brenda) and Gordon Poole (Sherry) all at Belleoram, John Poole at St. Jacques, David Poole (Martha Jane) at Ontario and Martin Poole at Nova Scotia; sisters, Lillian Poole and Mary Piercey (Eugene) at Nova Scotia, and Jessie Fiander (David) at Belleoram; as well as a large circle of other relatives and friends. Predeceased by her husband, Pious; parents, Lillian and William John Poole; sisters, Rosemary Savoury and Olive Poole. Funeral Service was held on Wednesday, April 3, 2019 at 2:00 pm from St. Lawrence Anglican Church at Belleoram with Rev. Tryphena Vallis officiating. Cremation will follow. Interment of ashes will follow at a later date at the Anglican Cemetery, Belleoram.